Basic powerpoint is important to know when you use powerpoint software, with this basic will help you to know where the tool is. 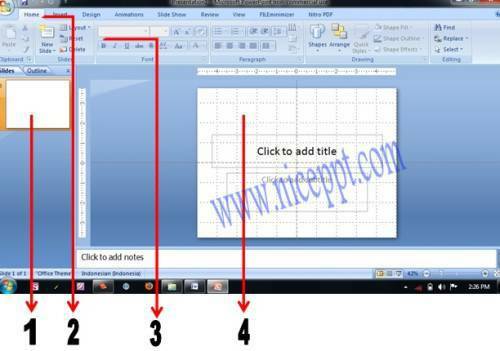 where tool to add slide, add shape and also creating table, even more tool you should know, it is in basic powerpoint knowledge. Look at the picture. first, you must know the part of power point is. Slide represent the content that you write on slide panel, it's just a thumbnail view so we can look at all content that we write. you gonna write content on slide panel, all materi will write down here including add animation. but when you write, you will need a tool, so you can use tool bar on menu bar. in menu bar, there are many tools can help you. Now i will share about menu bar, what is tool inside it. Actually not all menu bar you must understand, at least you should know where is the toll bar placed. In home there is any tool that you gonna use it. inside a new slide, change a font style and color, also changing a paragraph. why is call home, because we will us this is frequently. 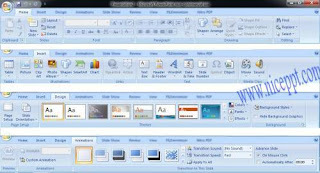 as long as you use powerpoint, you will use this menu bar, so keep in mind. Insert menu is also useful, because you can placed shape and add graphics. 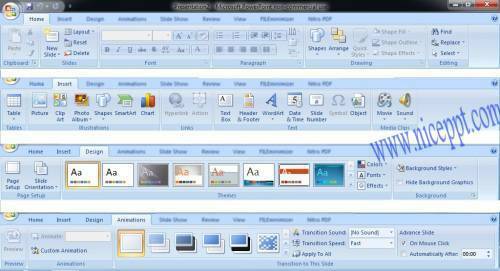 you can also edit font using wordart in here, so you should memorize all toolbar in this menu. Actually this is very useful, especially you use default template and color from this powerpoint. but in my opinion, the menu bar won't be help you when make a nice ppt, so just skip it. This is important part to make a good powerpoint, because you can add movement so will make your powerpoint interesting. i love this animation menu, because when you make a good powerpoint with many animation on it, you will use this menu more than other to make nice ppt. I think i never use it, just menu with a correction spelling tool. This menu is not frequently used, but is important when you use for the first time. you should add grid and ruler so you can make powerpoint nicely, and also if you want to make a master slide, this is the place. Just my other tool, not to important, so we can skip it. This is a few thing you should know about powerpoint, so when you use powerpoint you don't confuse were the tool is. so hope you remember this basic powerpoint.